What’s the Ultimate Tool for an Amazon Seller? You would have to spend at least $550 per month on many tools to get the power of BlackBird and we’re not even half-way through what BlackBird can do for you. "our results are not typical consumer results and results may vary"
We're here to make sure you succeed on Amazon, and to help do this we've created a direct link for you within BlackBird to our team. This is NOT basic support staff, this is access to people who generate MILLIONS of dollars selling on Amazon, true experts, so you're in good hands. Over a million dollars in sales his very first year! In my first year on Amazon I generated over a million dollars and the coaches at Blackbird helped me tremendously in all aspects of selling on Amazon, especially finding high quality products that sell well on Amazon! 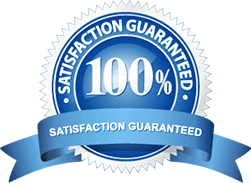 Your purchase comes with a full 30 day, 100% money back guarantee. Get started today and have full access to the entire suite of tools and educational resources, and rest assured if you're not satisfied you can get a full refund within 30 days, no questions asked.